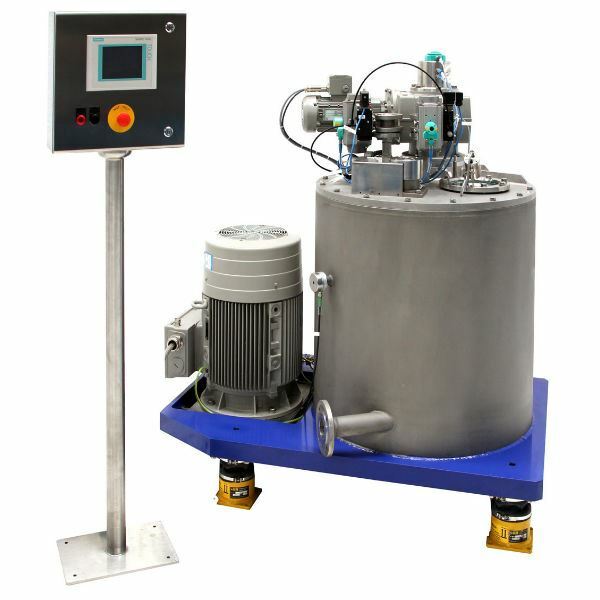 For industrial classification of fine and ultrafine particles up to nano-particles, HEINKEL has developed high-performance centrifuges which can be used for wet classification as well as decanting. The classifying centrifuge TIOCENT enables a precise cut, high throughputs and provides optimum classification results while maintaining high efficiency and consistent availability. For industrial applications, the separation of small particles from suspensions in the range below 1 to 5 µm is particularly challenging with regard to reliability and precision of the separation process. In order to meet constantly increasing customer demands in terms of qualified results and performance, a highly efficient functioning of the machines is absolutely essential. According to preference, the classifying centrifuges TIOCENT from HEINKEL being equipped with these functional features can be used as a classifying as well as a decanting centrifuge. The method of wet classification is applied for example in the processing of pigments and abrasives where coarse and fine particles have to be separated from suspensions, or in the production of nano-particles for surface coating.